Celebrate with us and and our new gaming partner Leicester City Football Team. Offline Promotion 138% for New Member register on 1st September 2018 to 30th September 2018 and For Asianbookie members. 1)	Effective Date September 1 , 2018 to September 30, 2018. *Contact our customer service for more info. 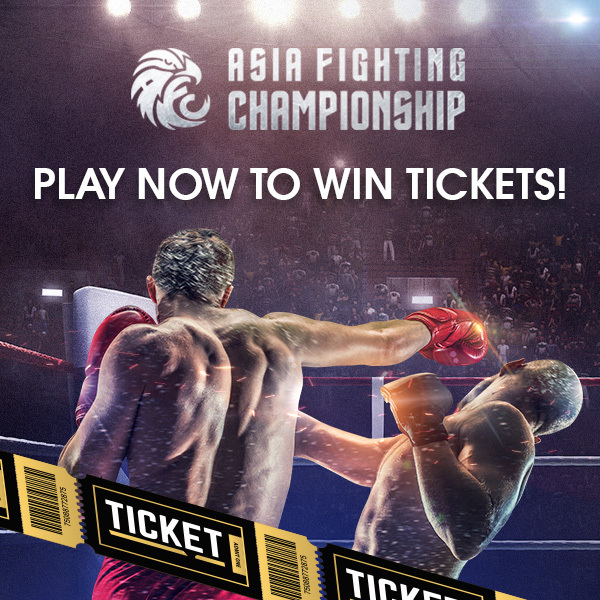 Play and win the ticket now. Play At M88AFC.COM And Win Prizes!!! 1. Promotion period is from 15th September 2018 00:00:00 (GMT+8) to 31st October 2018 23:59:59 (GMT+8). 2. This promotion is applicable to all members in Malaysia. 3. To claim the promo members must register from link "Mansion88" target="_blank" id="sponsored">M88AFC.COM"
Contact our customer service for more info. Price included Suzuki Motorcycle, IPhoneX and AFCB Jersey. and freebets up to MYR 220.